This most loved highlight of PALM enters its 10th year with the PALM expo 2019. The Live Arena facilitates live demonstrations of advanced sound and lighting systems, through three-day live musical performances, featuring popular and budding artists and bands from the country’s independent music scene. 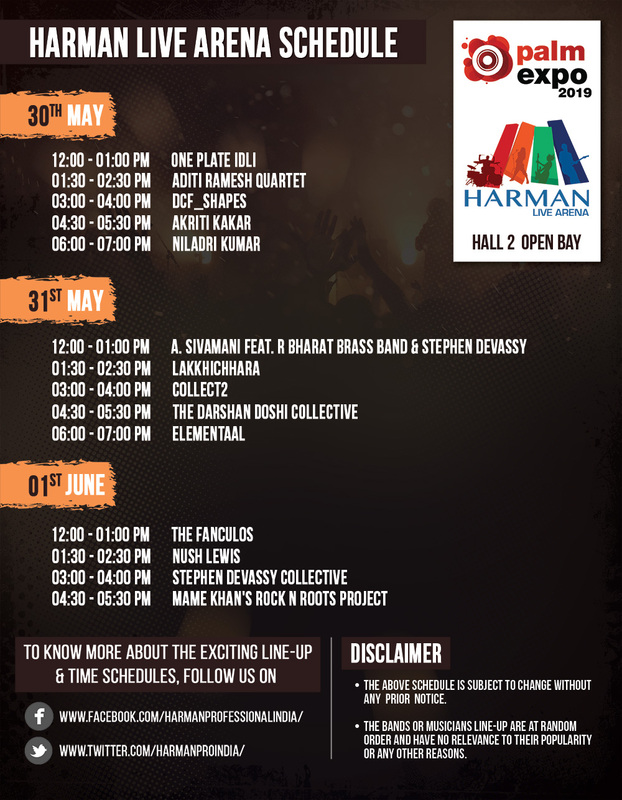 HARMAN has powered this IP in the previous nine editions, with top-of-the-line, newly launched products & solutions from brands in the HARMAN bouquet.